· If you are lucky enough to spot any dark, dirty-looking patches on the roof, then it is time to replace the roof, or at least replace the dirty shingled area. The cause of this can be environmental pollution, vegetation on the roof itself, algae or/and fungus growth and possible loss of granules because of the age of your shingles. 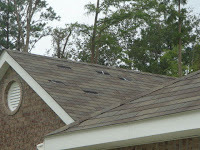 · When you see missing, cracked, or even curling of the shingles, this is a danger sign. The obvious causes of this will be the shingles have just reached their full lifetime on the roof. · Many homeowners complain of leaking water in there attic space after a hard rain. This is because of inadequate shingle underlayment, and flashing that has too much wear and tear. · Your roof shingles, your sheathing on the roof and siding decay are another sign of damage to the roof that most homeowners do not notice. Homeowners can resolve this problem by making sure that the attic is properly ventilated. · When blistering and or peeling of the paint that is on the outside of your home happens, it is most likely the cause of any excessive moisture or high humidity also due to poor attic ventilation. · Every homeowner at one point or another have probably experienced stains on their interior ceilings, walls, or even mold and also mildew growth. The causes of this problem can be yet again faulty or problematic shingle underlayment that is allowing leakage or not enough air flow. · Finally, homeowners are often times plagued by very high excessive energy bills. This can become very expensive and the cause of this is not enough attic air flow which causes the heating and cooling system to run more than needed. The typical homeowner is subject to not knowing what to look for on their roof simply because they do not have the needed knowledge and most homeowners do not want to walk on their roof. Sometimes the homeowner, through no fault of their own just assume that the roof that is on their home will last for the set number of years they are told, say 20 years. But in reality, the roof is just like anything else, it needs regular maintenance and yearly inspection to ensure that the home is being protected by a sturdy and secure roof. Homeowners that make the extra effort to learn about their roof system, how it works to protect their home and what danger signs to look for can catch a potential problem before it becomes too serious. ABOVE ALL ROOFING CO. is a family owned and operated contractor located in Vacaville, California; serving the surrounding counties and the Bay Area. We are here for all your roofing needs. We specialize in everything from New Roofs, Repairs, Inspections, Maintenance, Seamless Gutters, and Insulation for Residential and Commercial properties. One aspect of maintenance for your roof is to have it regularly inspected. Twice a year should be sufficient for most homes unless you live in an area that is often hit by bad weather. This will allow for your roofing contractor to find small problems and light damage before it comes more severe. This will also help to prevent you from having to replace your entire roof unless it really needs to be done. 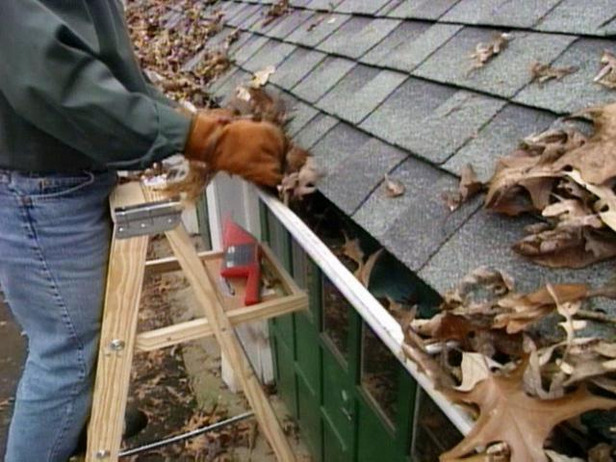 Changing out damaged shingles on your roof is also a good maintenance measure. This will help extend the life of the roof overall and can help protect other shingles from being damaged. Having a solid roof over your home will mean that you won't have to worry about leaks or other complications in the future. Cleaning out your gutters help extend the life of your roof because drainage will be able to flow how it was designed to. If you have a gutter full of leaves and other things water won't be able to drain therefore it will settle on parts of your roof. Water sitting like this will decrease the life of the singles and can cause a leak rather quickly. You should clean out your gutters regularly in order to protect the roof of your home and to give your house a more well-kept appearance. A type of roof maintenance that is easily overlooked is having your roof inspected directly after inclement weather. Although shingles are durable and made to last a very long time they are still vulnerable to high speed winds, heavy rain, and hail. If your house has just been hit by a heavy storm you should go ahead and find out if there is any damage as soon as possible. This will prevent you from having extensive damage in the future and this type of work is covered by your insurance company except for you paying for whatever your deductible is set at. A roof that is leaking and has several layers might need to be replaced. Roofing companies refer to this as a "complete tear-off." When you have a complete tear off all the existing layers are taken off of the roof. The new wood roof framing is installed next. Following that new shingles are installed on the entire roof. Most places city codes are extremely strict about how many of roof layers are allowed. Three layers is the max umber in many places. Your local roofing companies will know about the roofing codes in your city. They will know the answers to your roof layer questions. On top of all of these things the roof you had installed initially will affect when you need to put in a replacement. A bad design or starting with the wrong materials during the construction of your roof will result in it not lasting as long as you expected it to. 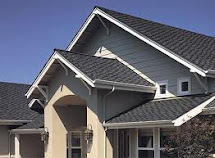 Make sure your new roof is quality by shopping Minneapolis roofing companies for the companies that will do the best job for you and your home. Proper care and maintenance in addition to keeping your roof clean will put off the need for a new roof. However all roofs will need to be replaced eventually. Are you ready to take the step of replacing your roof? Call your local roofing companies many offer a no obligation free estimates. Metal is my #1 choice for a roof in Central Texas. In this video I'll tell you all the reasons why I think Metal is a better choice than asphalt shingles or tile. Dirty Jobs with Mike Rowe experiencing commercial hot tar roofing. An interesting and creative example of recycling in Japan. Tiled roofs (hongawarabuki) are a distinguishing feature of most traditional Japanese homes, as well as Buddhist temples, Shinto (native religion of Japan) shrines and many other types of old buildings. Kawara is the word the Japanese use to describe roof tiles in general, though there are in fact many styles and types of tiles with regional variations, and a large and specialized vocabulary is used to describe these. The convex marugawara-style (aka ogawara) tile are normally used in conjunction with the concave hiragawara tile to cover the open surface of a roof. When used together, these two types of tiles provide a strong and weather-resistant barrier which easily channels heavy rainfall. Japanese roof tiles are typically very well made and often outlive their intended function protecting structures from the elements. As a result, old roof tiles can sometimes be spotted in Japan being reused for unique and interesting purposes. Old roof tiles are sometimes used to reinforce earthen retaining walls, or stacked one next to another to make garden borders. Roof tiles are also buried vertically along dirt walkways with just the tips exposed a fraction of an inch above the surface to create artistic patterns and to act as paving surfaces. Decorative end caps called onigawara (ogre tiles) look especially nice as accent pieces within the home or on patios and especially when positioned amidst garden foliage.